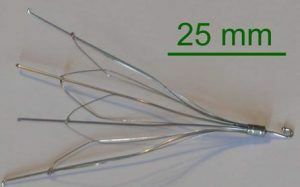 Inferior vena cava, or IVC, filters are very small, typically cone-shaped devices that are implanted in the inferior vena cava. The inferior vena cava is a large vein that carries blood from the legs and lower body to the heart, where it is then pumped to the lungs to receive oxygen. IVC filters are intended to capture any blood clot that has broken loose from one of the deep veins of the legs before the clot gets to the heart and lungs, where it becomes a pulmonary embolism. IVC filters are placed through either the femoral vein in the groin or the internal jugular vein near the neck. The filters are typically placed by interventional radiologists or vascular surgeons. How is Riley & Jackson Involved in IVC Filter Lawsuits? IVC filter lawsuits against two large manufacturers have been consolidated into multidistrict litigation, meaning a small group of attorneys known as the Plaintiffs’ Steering Committee (PSC) handles the work for all cases through discovery and pre-trial proceedings, devises strategy for the litigation, and takes depositions of the manufacturer’s employees and other individuals. One of Riley & Jackson’s principals, Keith Jackson, was appointed by a federal judge in the Southern District of Indiana to the Plaintiffs’ Steering Committee for the Cook IVC filter litigation, making Riley & Jackson one of only 18 firms in the country responsible for the litigation. Our lawyers are therefore intimately familiar with IVC filter litigation and are directly involved in the work of preparing the cases for trial. What are the IVC Filter Lawsuits About? Perforation of the inferior vena cava, which can cause hemorrhage. Perforation into the duodenum, which causes severe diarrhea and weight loss. Arterial hemorrhage, which requires surgery to avoid death. Filter Migration, resulting in acute myocardial infarction, a life-threatening arrhythmia, or tamponade. Filter Tilt. 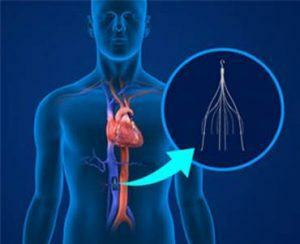 The filter tilts within the inferior vena cava and becomes irretrievable. This subjects the patient to an increased risk of the complications above. Has the FDA Recalled the Filters? There has been no FDA recall of retrievable IVC filters, but on May 6, 2014, the FDA issued an advisory opinion to implanting physicians. The FDA advised that retrievable filters be removed as soon as protection from pulmonary embolism is no longer needed. The FDA also notified physicians at that time that the FDA had received reports of device migration, filter fracture, embolization (movement of the entire filter or fracture fragments to the heart or lungs), perforation of the IVC, and difficulty removing the device. Everyone who had an IVC filter placed after approximately 2002 and who still has the catheter indwelling has the potential to be affected by the problems with the retrievable IVC filters. The filters covered in current lawsuit are Cook’s Gunther Tulip and Celect filters as well as Bard’s Recovery, Recovery G2, and G2 Express filters, although other retrievable filters are currently being investigated as causing potential problems. Most people do not know what type of filter they have, but we can find that information in your medical records. If you suspect you may have a retrievable IVC filter, we would like to hear from you. Even if you have not yet suffered any complications, you may have a claim for medical monitoring to ensure your filter does not cause serious problems for you in the future.